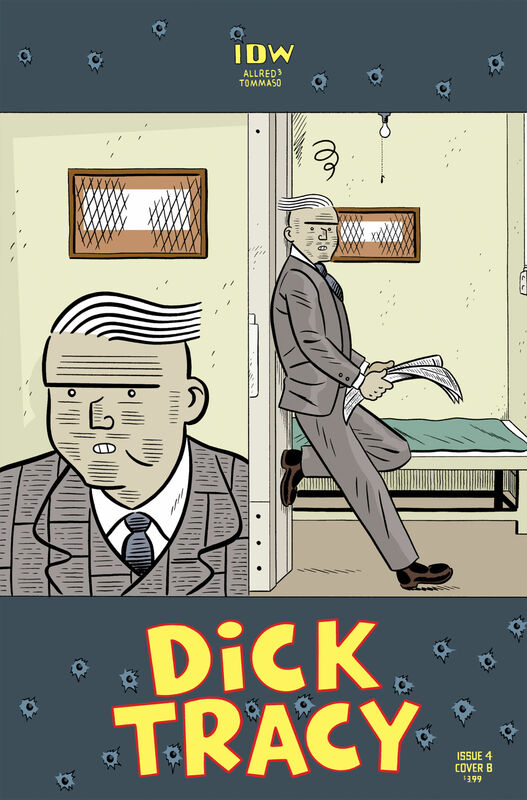 IDW Entertainment has announced their solicitations for December 2018. 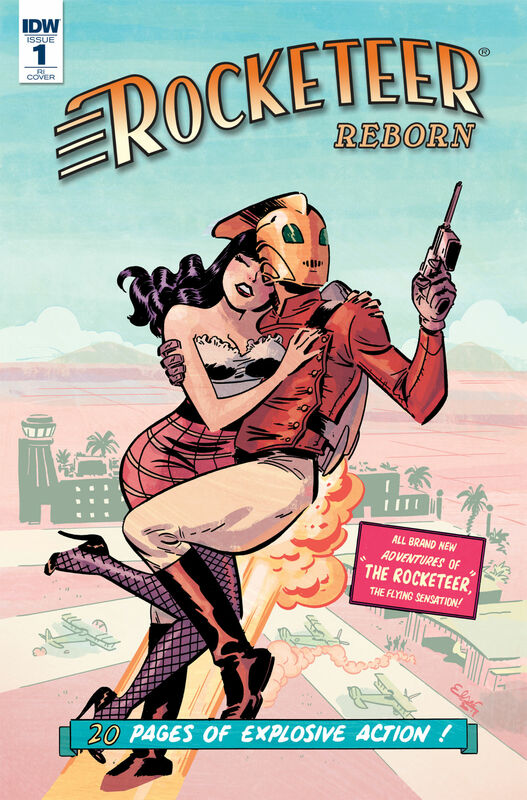 And it begins with their debut issues of the all-ages Avengers series licensed from Marvel Comics – and the second issue of Spider-Man... and a relaunch of Rocketeer Reborn. And all your usual favourites, and a look back on the IDW Transformers era with Transformers: Historia. As if Peter Parker didn’t have enough problems at high school, suddenly New York’s crawling with Spider-People! 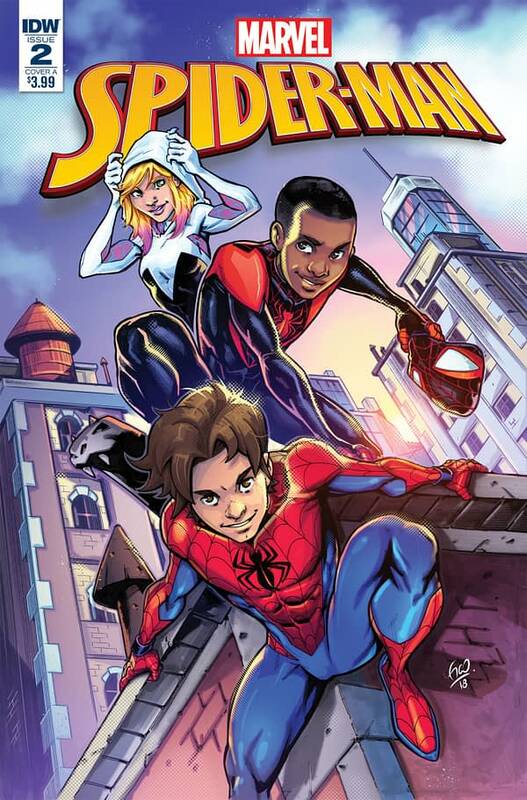 Peter has no choice but to forge a tentative partnership with Miles Morales and Gwen Stacy, as a larger mystery threatens the trio! All-new web-swinging action in the Mighty Marvel Manner! Order 10 copies and get one free variant cover by Derek Charm! 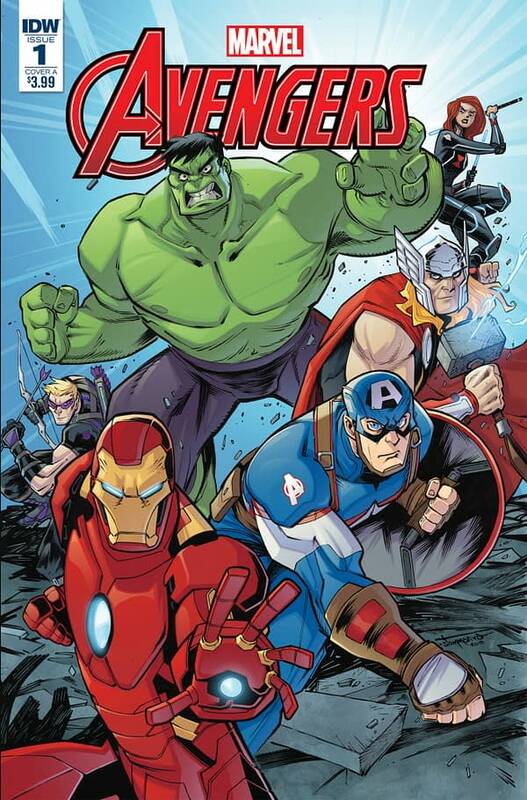 A new era of all-out Avengers action begins! 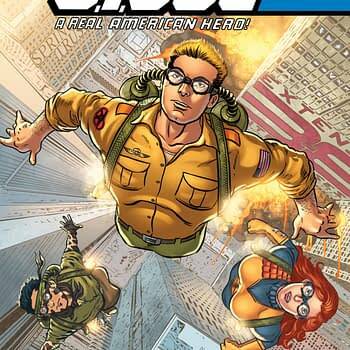 A new team is formed to battle a mega-sized threat that is weirder and wilder than any the superheroes have met before! 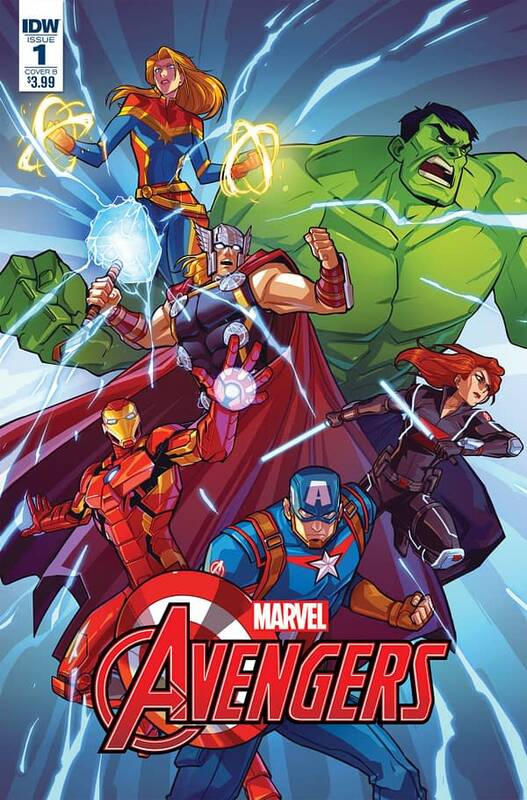 This new ongoing series will be the perfect opportunity for middle grade readers, and fans of all ages, to experience the thrilling adventures of Avengers comics for the first time! Order 10 copies, get one free variant cover by Sara Pitre-Durocher! Order 25 copies, get one free variant cover by Sophie Campbell! Order 50 copies, get one free variant cover by Gabriel Rodriguez! Order 100 copies, get one free foil variant cover by Gabriel Rodriguez! Avengers stories that are epic, weird, and above all: fun! Your favorite heroes along with surprise team members! 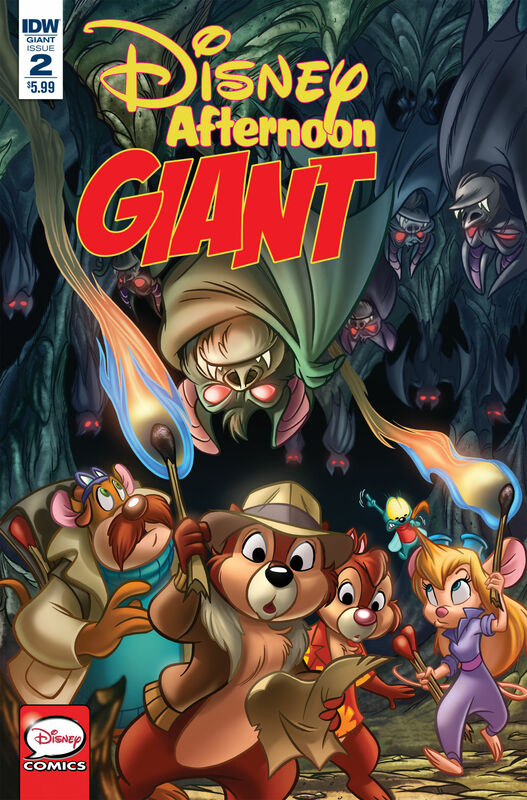 Serialized stories featuring your favorite classic Disney Afternoon characters! 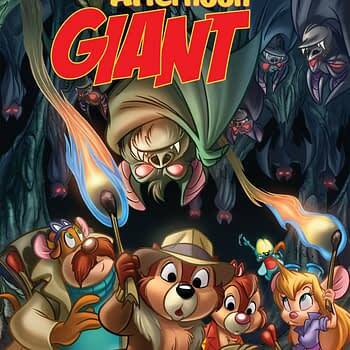 This bi-monthly series will leave readers anxiously awaiting the next installments of these exciting adventures! It’s the last issue of our four-part miniseries detailing how Uncle Scrooge made his first millions! 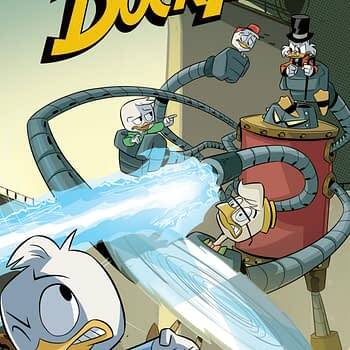 As co-founder of McDuck and Wreck Construction, Scrooge McDuck finds his business on less than stable ground. But will shoddy craftsmanship and a shady business partner lead to an unexpected windfall for our favorite miser? Find out in the action-packed conclusion! Order 10 copies and get one free variant cover by Marco Gervasio! 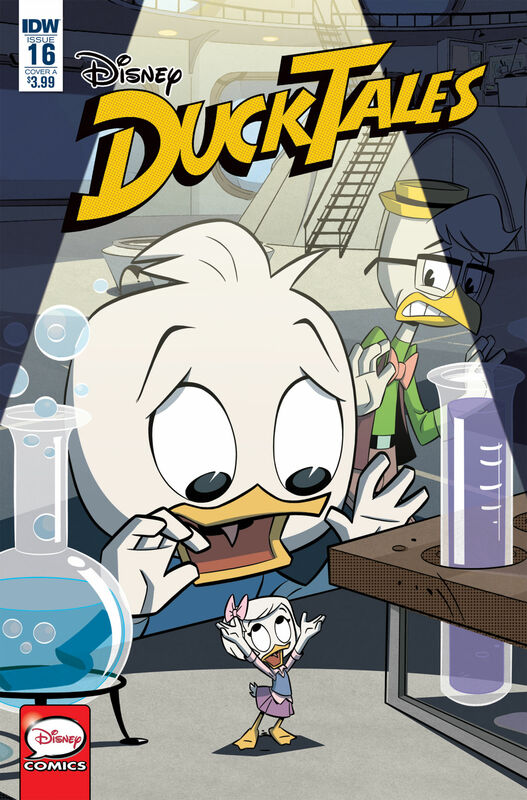 The final story in a special four-issue miniseries featuring Uncle Scrooge as you’ve never seen him before! 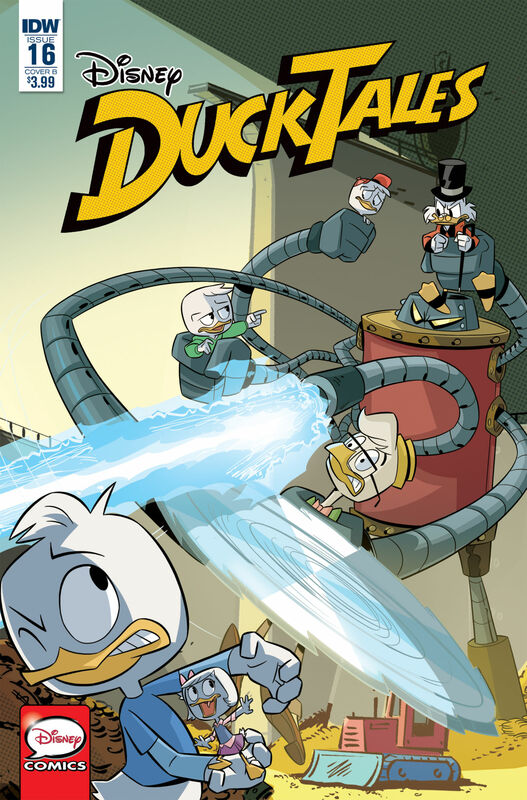 Another brand-new Uncle Scrooge story makes its U.S. debut! 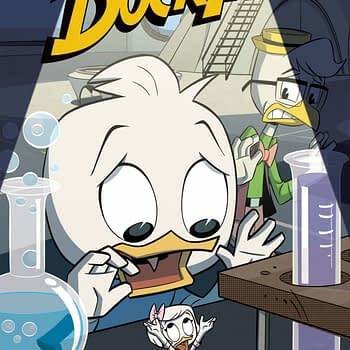 Uncle Scrooge returns to a monthly series starting with issue #41 in January 2019! The cap on IDW’s first year of Sonic the Hedgehog adventures—and the lead-in to season two! 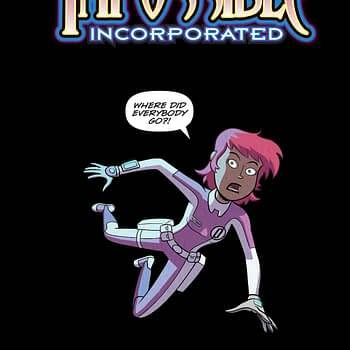 Atomic Robo just opened Tesladyne Institute’s doors to the next generation of Action Scientists and that means hijinks are afoot! But with Vik, Lang, and Bernie off-campus, it’s up to Robo and Foley to make sure the place doesn’t burn down. Also, Robo’s building a secret robot son using the automatic intelligence that tried to cook the Earth in nuclear flames a few years back. I bet that won’t backfire on him! 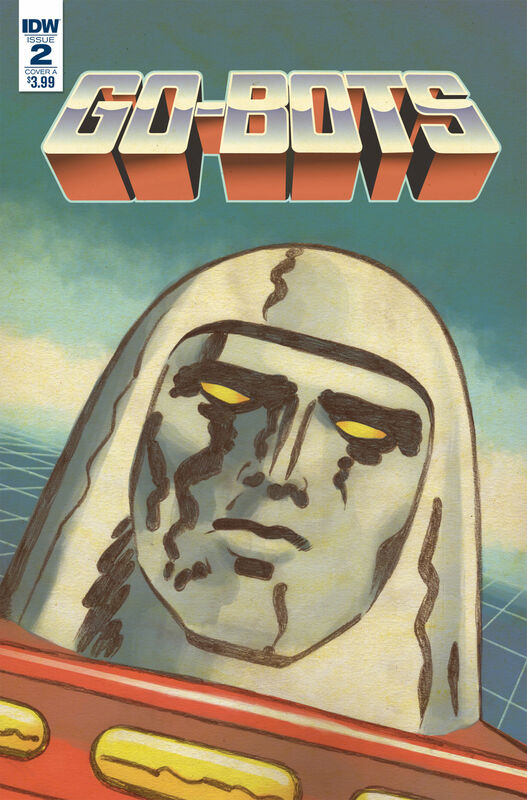 Celebrating 10 years of Atomic Robo! Calling all future Action Scientists! If you want the best education—one that’ll prepare you for rock monsters, evil brains-in-jars, insane dinosaurs, corrupt scientists, extra-dimensional beings, and of course, heaping helpings of A.I.s, this book is for you! The threat of the Time Termites is ended… but the Exterminators are on the loose! 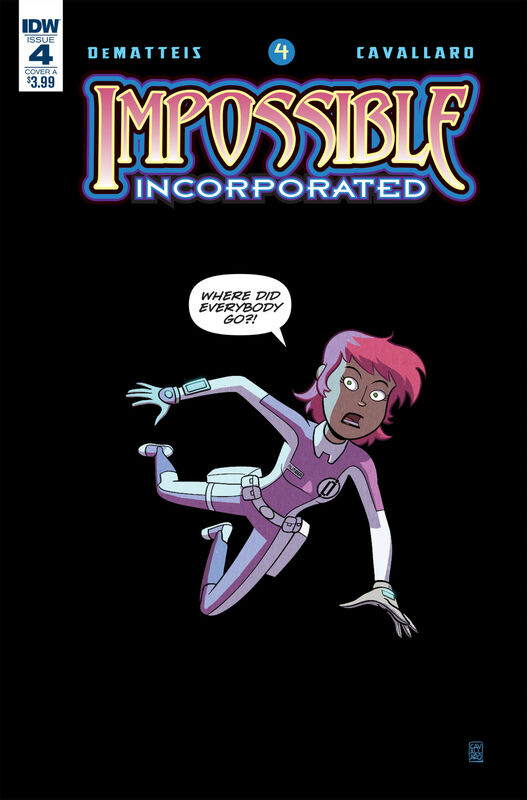 Can the Impossible Inc. team stop them from remaking reality in their own fearsome image? 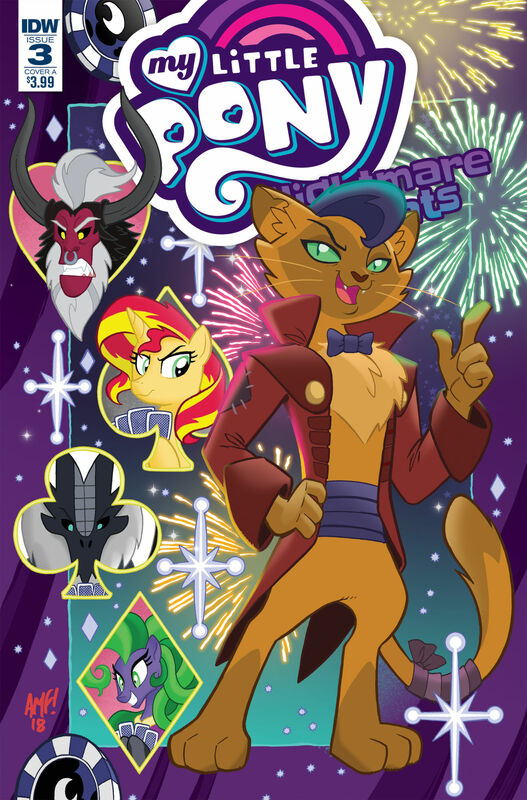 An all-new series filled with intrigue and adventure, starring everyone’s favorite fillies! The Cutie Mark Crusaders are on the case, solving crimes nopony else can! Will they be able to discover who’s behind the local mysteries, like the theft of supplies from Ponyville Hospital or the ransacking of the bowling alley? Most importantly, can they crack the case and get their homework done at the same time? 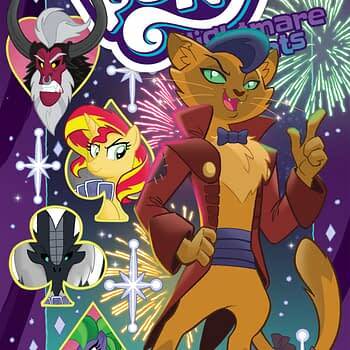 A sister series to the popular My Little Pony: Ponyville Mysteries prose books! When a magical amulet helps Fluttershy get in touch with her wild side, she starts seeing things from a whole new perspective—that of her animal friends! What could possibly go wrong? 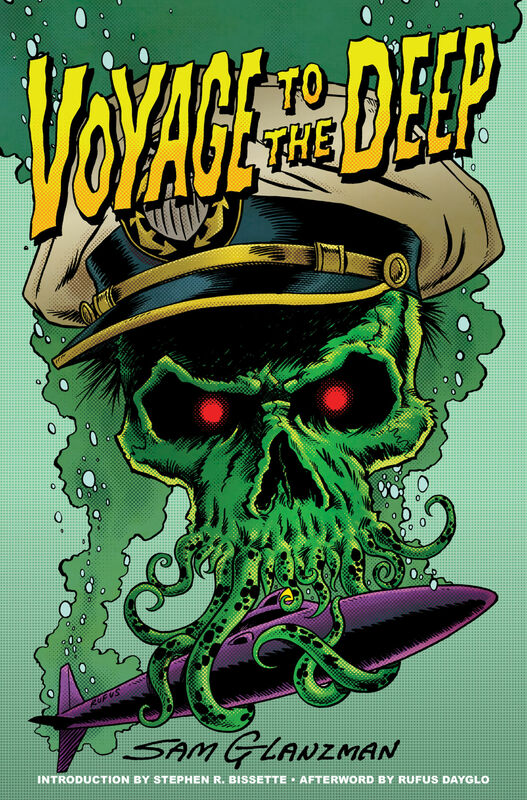 Order 10 copies and get one free variant cover by Thom Zahler! The animal kingdom takes over Ponyville! Fluttershy learns to see things from a whole new perspective! The heist begins! As Luna’s band of misfits infiltrates Eris’ Palace and Casino, they are faced with challenges that will test each member’s resolve. Will they complete their mission, or will they turn on each other first?! Order 10 copies get one free variant cover by Jennifer L. Meyer! Order 10 copies and get one free variant cover by Jon Sommariva! To catch a mutant kidnapper sometimes means… getting kidnapped?! When the Turtles lay a trap to lure their latest mystery villain out into the open, they find themselves biting off more than they can chew. Order 10 copies, get one free variant cover by Chad Thomas! 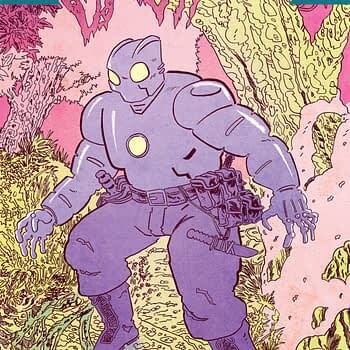 The search for Casey Jones’ daughter continues, bringing to light new, startling truths. As the strain on the Turtles and their family grows, a determined Mikey takes matters into his own hands… but will he be able to escape a showdown with the mob?! 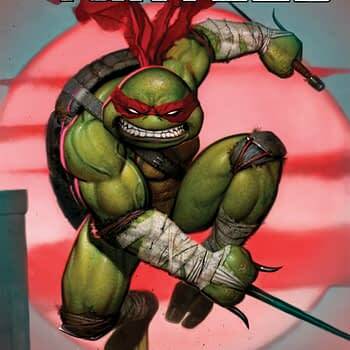 Raphael is pushed to his breaking point as he is separated from his brothers and forced to endure an onslaught from the nefarious Bishop unlike anything he has experienced in the past! Order 10 copies, get one free variant cover by Ryan Brown! Oversized action from TMNT co-creator Kevin Eastman, who scripts and does layouts, with inks by Ben Bishop! An important turning point for Raphael that will have long-lasting repercussions! Bah humbug! 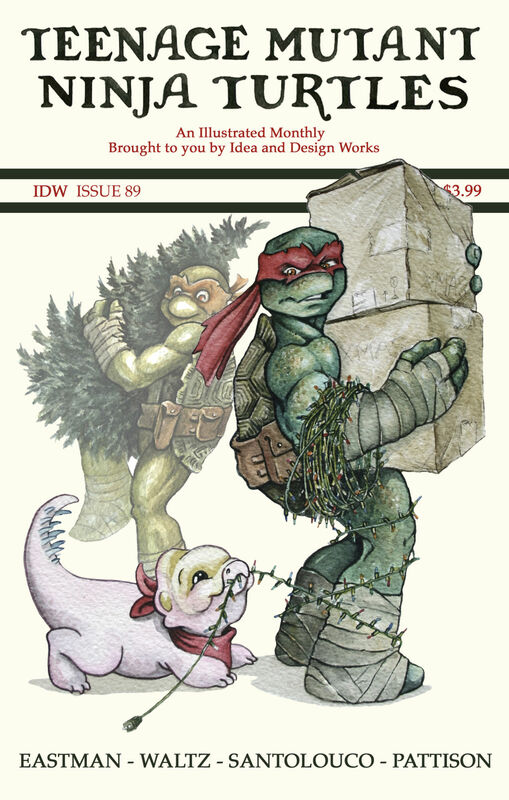 When Splinter forgets the true meaning of the holidays, it takes a visit from the Turtles of Christmas Past, Present, and Future to remind him that nothing is as important as family. Order 10 copies, get one free variant cover by Jody Edwards! 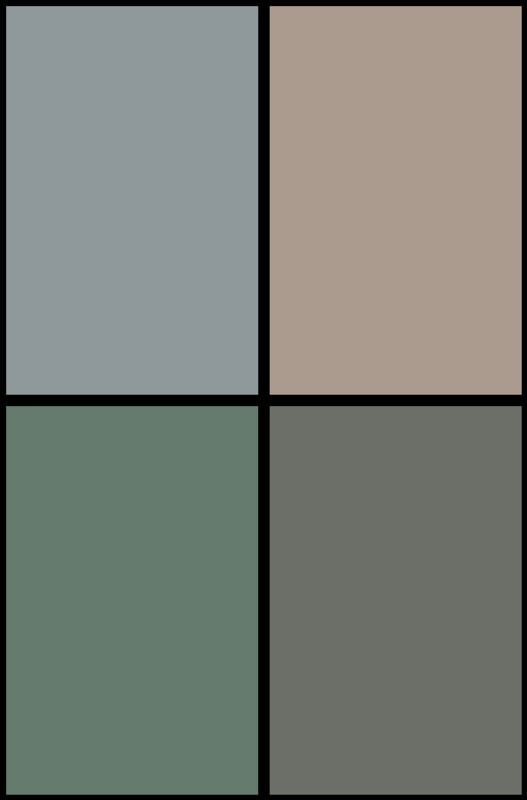 A look into the past, present, and future helps Splinter see what matters most. 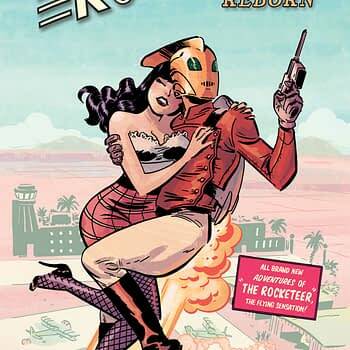 Now, decades later, The Rocketeer is all but forgotten, a legend of a bygone era—until Cliff’s jet pack is found, but in a most unexpected way—one that causes conflict for several people, each of whom are drawn to the jet pack… some for good and some for evil! 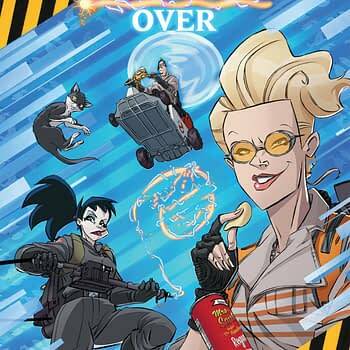 Order 10 copies and get one free variant cover by Elsa Charretier! 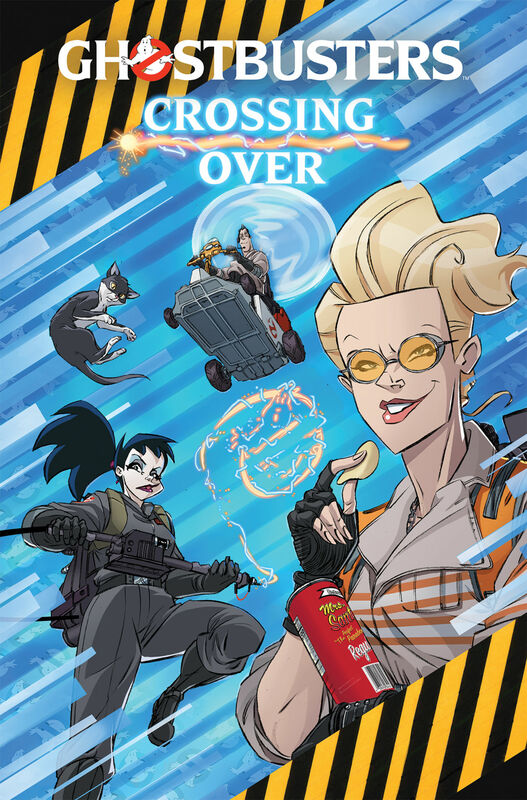 Order 25 copies and get one free variant cover by Elsa Charretier! Cy-Kill and his Renegades declare war on human civilization… and they’re winning. Go-Botics freshman A.J. 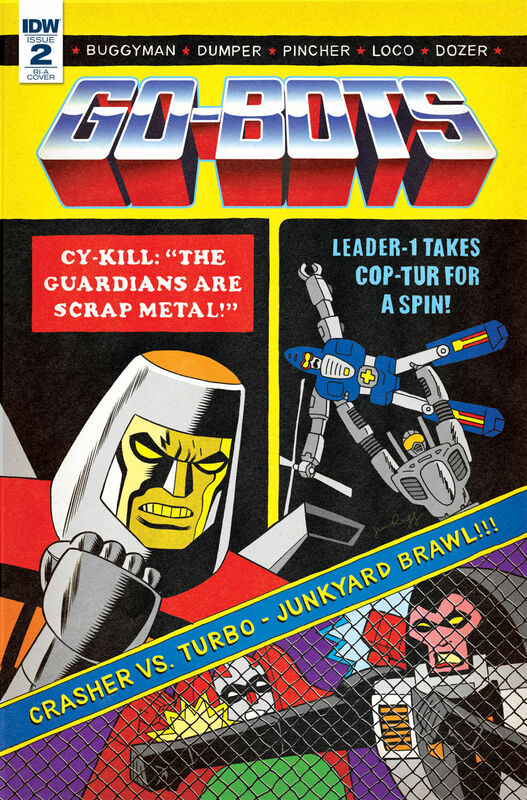 Foster and cynical Go-Bot race car driver, Matt Hunter, along with their friendly Go-Bots Scooter and Turbo, flee for their lives as they desperately search for some way to stop the extinction of mankind and the dawn of the planet of the Go-Bots! Order 10 copies and get one free variant cover by Jim Rugg! 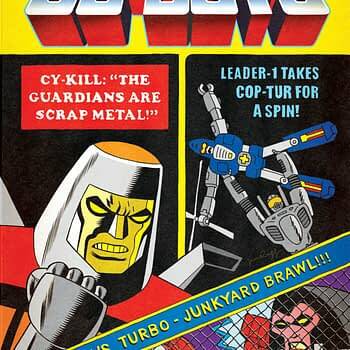 From the creative mind that brought you IDW’s Transformers vs. G.I. Joe! The year was 2005. 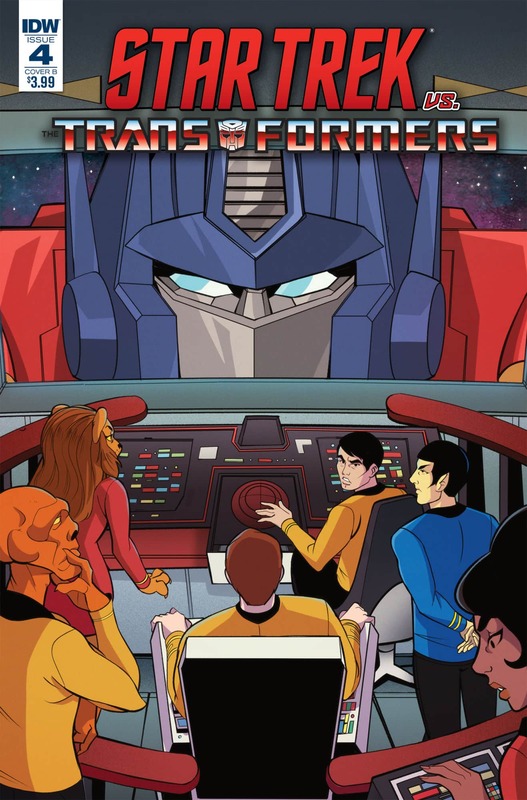 The treacherous Decepticons and their heroic Autobot counterparts descended upon the Earth and unleashed a new era of Transformers comics through IDW Publishing. Thirteen years and hundreds of issues later, that universe has come to a close. Join Transformers historian Chris McFeely on a guide distilling the past 13 years of publishing history and remember the masterful storytelling of the first IDW Transformers run. Written and compiled by Chris McFeely, host of the popular and accessible Transformers: The Basics on YouTube! The perfect book for new readers to discover what they’ve been missing, lapsed readers to catch up, and old readers to remember all the good times! tying into the Transformers: Bumblebee—Win If You Dare original graphic novel, on sale now! More kid-friendly Bumblebee content just ahead of the new movie, out December 2018! “The Cobra’s Venom,” Part 4! 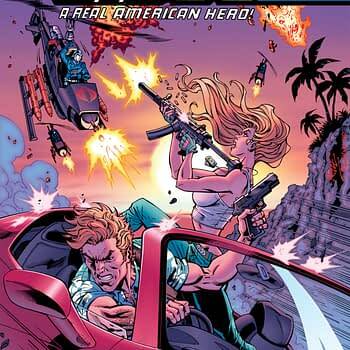 Dr. Venom’s destructive artificial intelligence campaign continues and nobody is safe—not G.I. JOE and not COBRA! Can anyone stop his insane robotic rampage before it’s too late?! 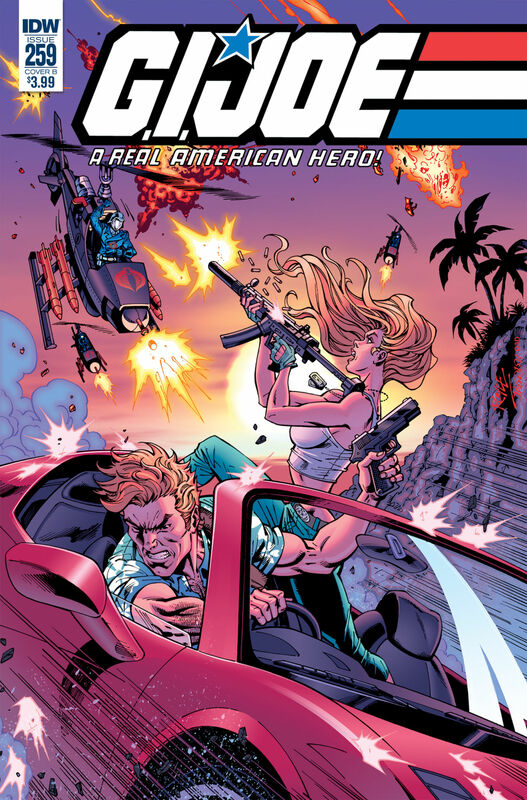 Fourth of five JOE/COBRA vehicle/gear-themed variant covers by Jamie Sullivan! “Silent Option,” Part 4! 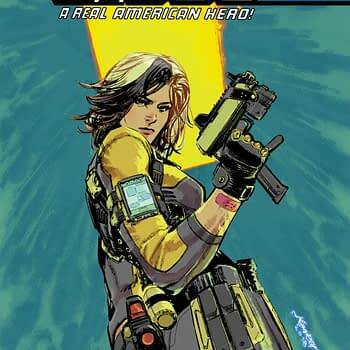 The mission is off the books and off the hook for Bombstrike and her covert team of G.I. 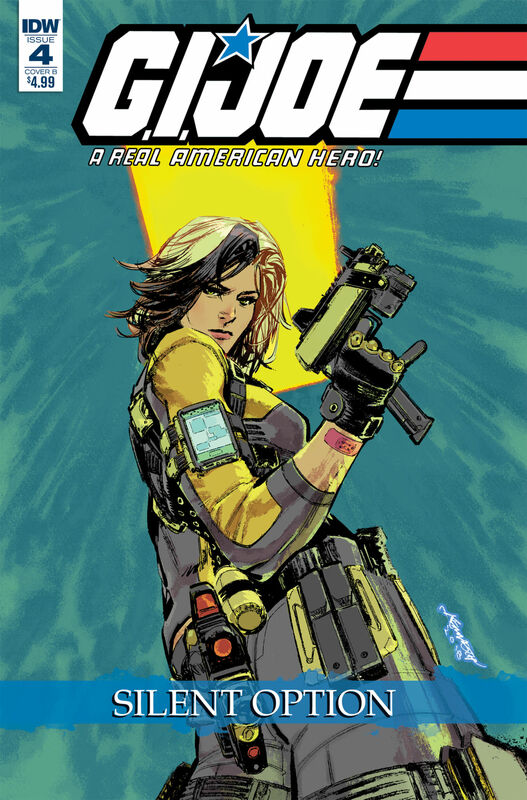 JOE special operators—including new Snake Eyes, Dawn Moreno—as they battle human traffickers that have taken the enigmatic Agent Helix hostage. 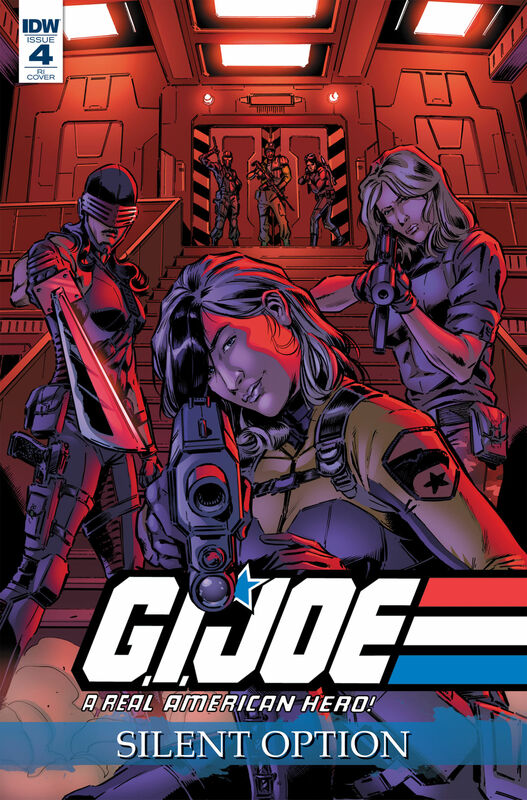 Join living legend Larry Hama and superstar artist Netho Diaz for the EXPLOSIVE FINALE of their latest team-up! 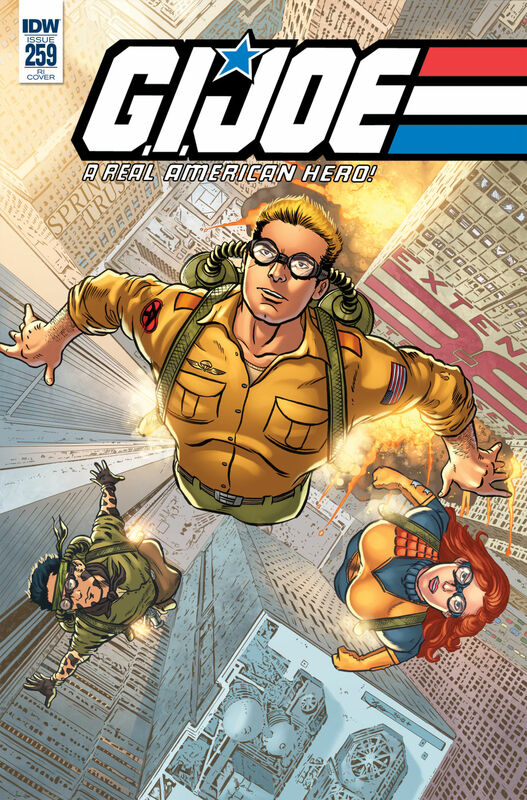 Plus, Ryan Ferrier and Kenneth Loh conclude Helix’s amazing origin tale in “Codename: Helix,” Part 4! Order 10 copies and get one free variant cover by G.I. JOE: ARAH SL Gallant! Order 10 copies and get one free variant cover by Ken Lashley! Story spins directly out of the newest card set, October’s Guilds of Ravnica™, and its sequels, January’s Ravnica Allegiance™ and the unnamed Spring 2019 set. Acclaimed British writer Paul Jenkins takes his first shot at Judge Dredd! With tensions rising, only Dredd and the forces of the Justice Department can stop Mega-City One from becoming a toxic wasteland! 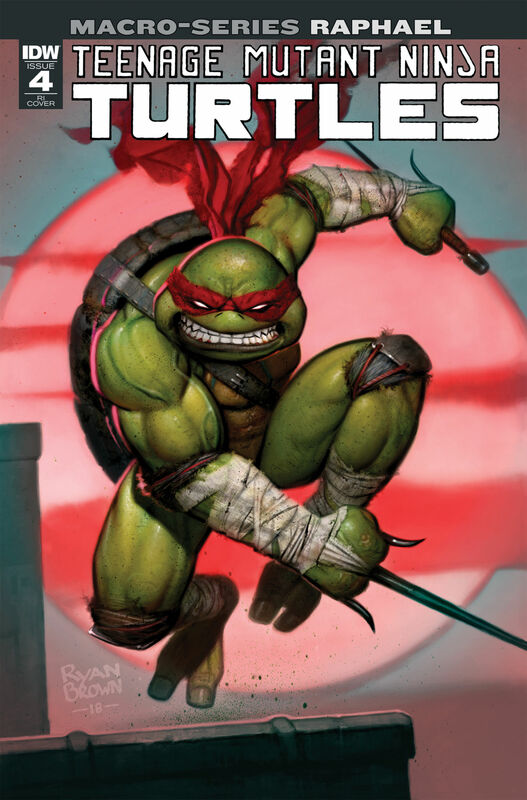 Order 10 copies and get one free variant cover by Mark Buckingham! 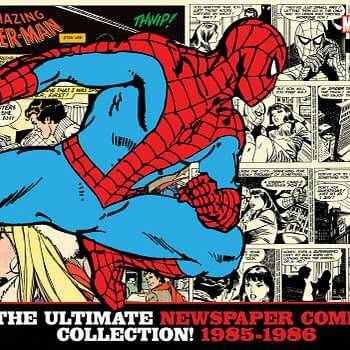 Covers by Jenkins’ Peter Parker: Spider-Man teammate Mark Buckingham (Fables, Marvelman)! 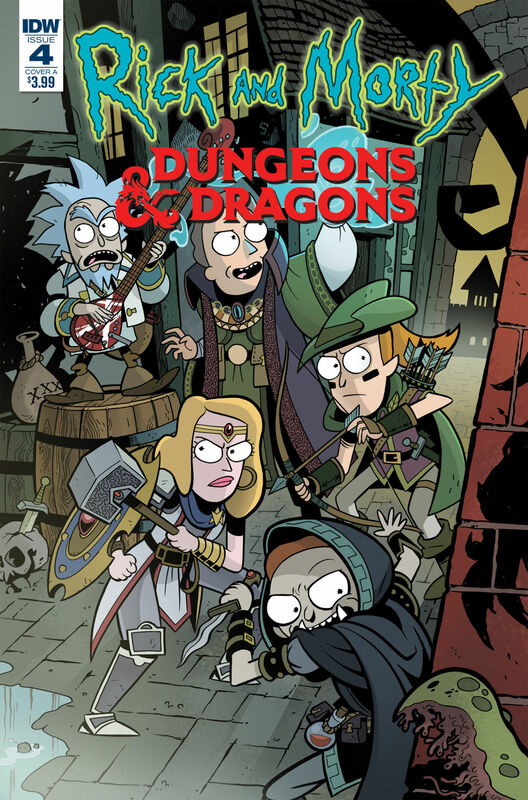 Dungeons & Morty & Destruction & Death & Rick & Swords & Sassery & Hashtag & Ampersand & It all ends here, people & oh, yeah—Dragons. Order 10 copies and get one free variant cover by Mike Vasquez! Order 20 copies and get one free variant cover by Tess Fowler! Dungeons & Dragons sales continue to grow each year, and the Baldur’s Gate video games have sold millions of copies around the world. 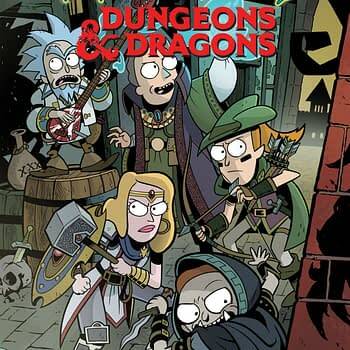 D&D has returned as a cultural force in bookstores and online. Order 10 copies and get one free variant cover by Elizabeth Beals! Order 25 copies and get one free variant cover by J.K. Woodward! 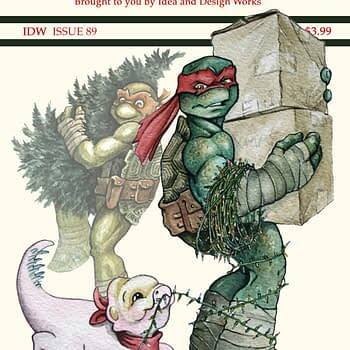 Featuring variant covers by Mirror Broken co-creator and designer J.K. Woodward! 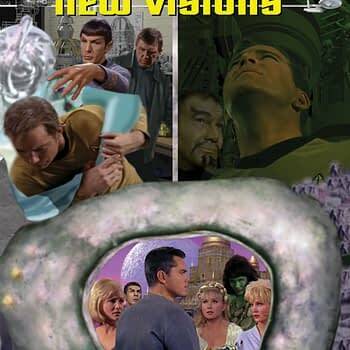 The final volume of John Byrne’s Star Trek teleplay series! 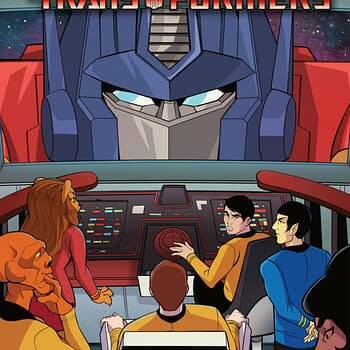 Order 10 copies and get one free “coloring book” variant cover by Michael Allred! 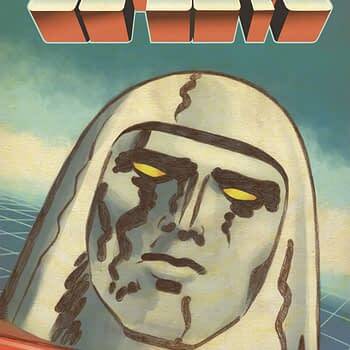 Cover art and co-written by Eisner-winning superstar Michael Allred (Madman, iZombie, Silver Surfer, Batman ’66)! 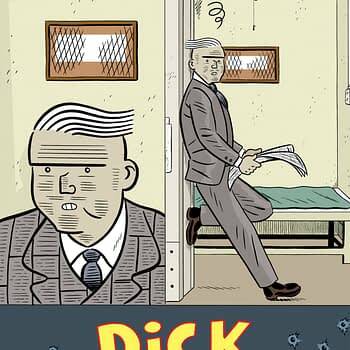 Each issue features a “mug shot” alternate cover by Rich Tommaso! Ask your retailer about the “coloring book” variant cover by Michael Allred! One by one they were consumed by Darkhole’s violence, until only two remained. Eric has lost the battle against his personal demons and accepted his role as executioner to anyone he deems a threat. Are his dead father’s words enough to pull his soul back from the Hellfire? Can anything stop this avatar of evil before more lives are lost? 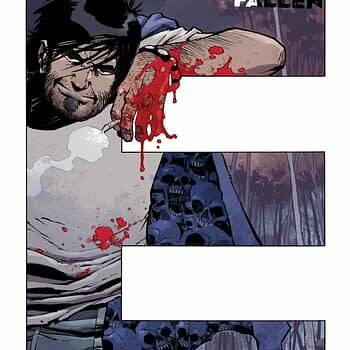 Find out in the final chapter of The Cape: Fallen, by the Eisner Award-nominated team of Jason Ciaramella, Zach Howard, and Nelson Daniel. Explore your dark side. Order 10 copies and get one free black and white variant cover by Zach Howard! Original creators Joe Hill, Jason Ciaramella, Zach Howard, and Nelson Daniel return to tell the latest, darkest tale of The Cape! Shelby was once best friends with her cousin Sam, but they haven’t spoken since he moved away to boarding school and later became a famous singer in the boy band Urban Smile. Determined to keep her connection to Sam a secret, she’s only ever told her best friend, Kate. But Kate’s priorities lay elsewhere, and she’s willing to break Shelby’s confidence to get what she wants. 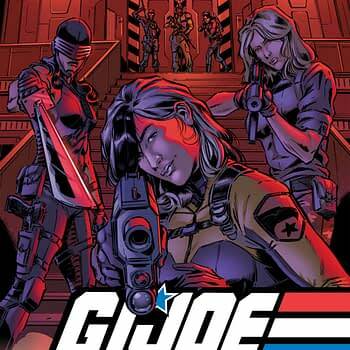 Order 10 copies and get one free variant cover by Claire Roe (We(l)come Back, Batgirl & The Birds of Prey)! Perfect for fans of gritty crime stories: movies like Training Day; TV series like The Wire, Breaking Bad, and Narcos; graphic novels like Darwyn Cooke’s Parker series and Ed Brubaker’s Criminal. Written by Jonathan Maberry, New York Times bestselling author and creator of V-Wars. With everyone around her dying and turning into zombies, and new threats rolling her way from every direction, Harriet knows she is running out of time and options. She has a possible cure to the zombie plague. Well… maybe. How many of her friends have to die to help her find out if she can save the world? 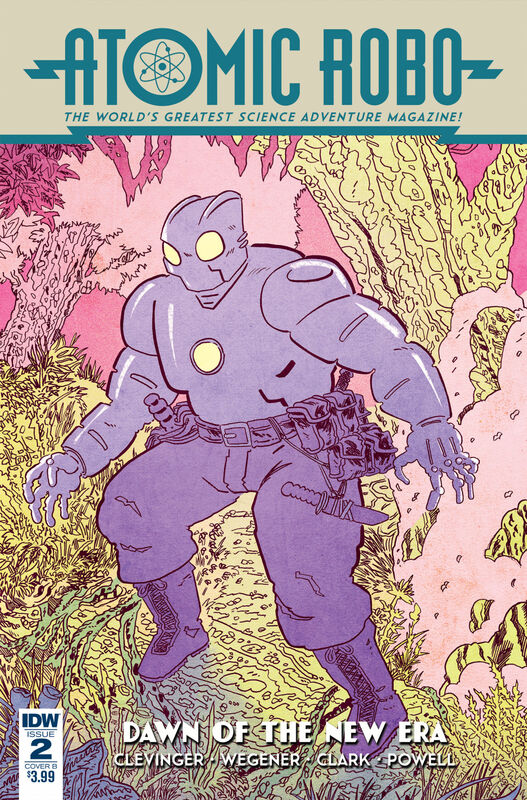 Order 10 copies and get one free variant cover by Santipérez! Five time Bram Stoker award-winning author Jonathan Maberry returns with a brand-new zombie tale! Order 10 copies and get one free variant cover by Chris Burnham! Order 10 copies and receive one free variant cover by Declan Shalvey! 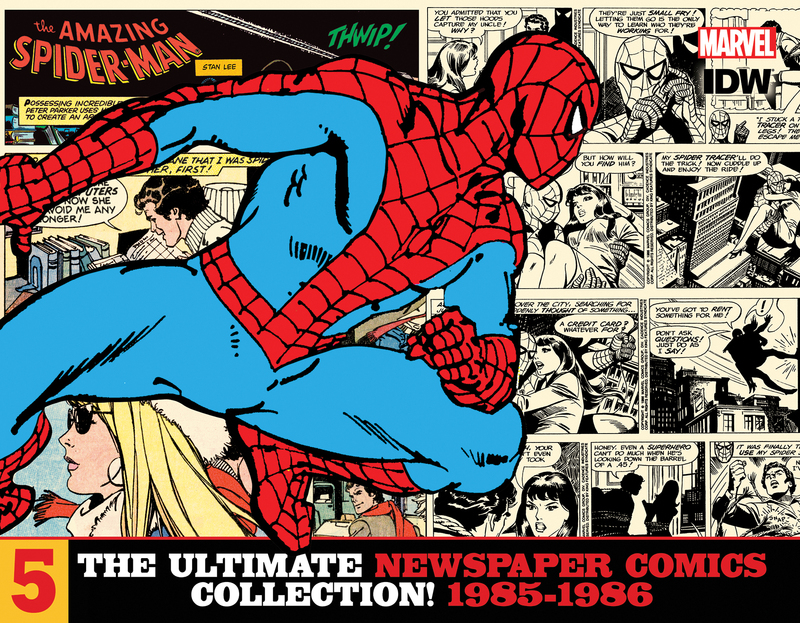 Continuing the first-ever chronological collection of the Spider-Man newspaper comics! 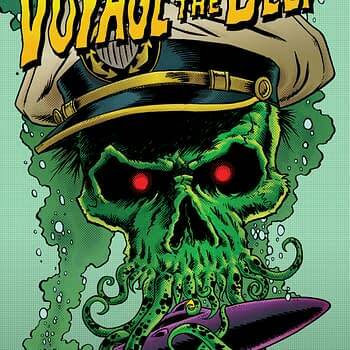 Order 10 copies and get one free variant cover by Shawn McManus! As a mysterious grifter continues to corrupt and kill damaged souls on the open road, he accepts a request on the Lodger travel blog that might put his own heart in danger. Meanwhile, Ricky Toledo and Golddigger get one step closer to their prey. 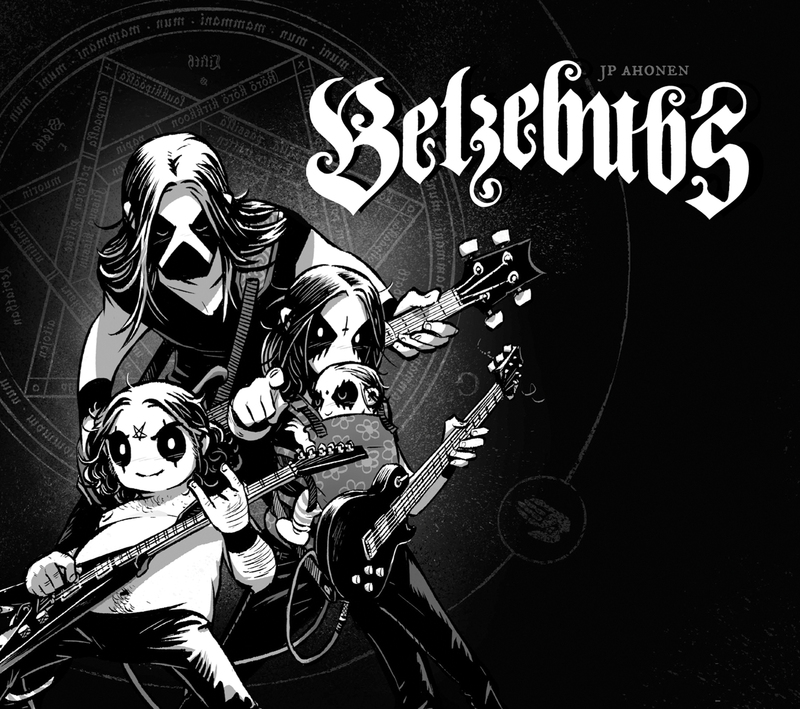 Calvin & Hobbes meets Call of Cthulhu as the sensationally popular heavy metal webcomic Belzebubs comes to print in a grim, goofy, and gorgeous hardcover. Over 250,000 rabid Facebook fans! Official soundtrack on Century Media Records, the world’s biggest heavy metal label! 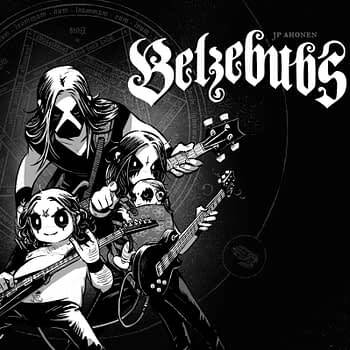 Visit belzebubs.com for strips, music video, and much more! Ye is a curious young man, named after the only sound he knows how to make. His voice must have been stolen by the Colorless King, the source of all the world’s sorrows—terrifying, unrelenting, all-taking, and never-giving. 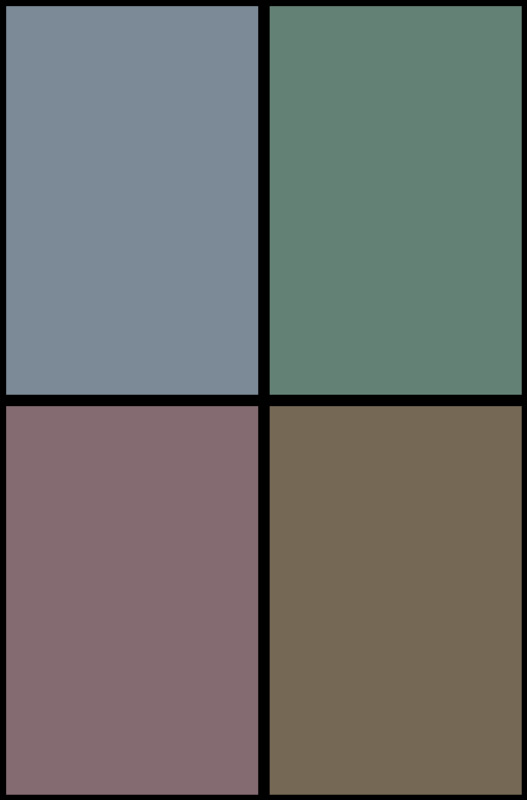 Now, Ye has no choice but to embark on a long voyage over land and sea, past grizzled pirates, a drunken clown, and more, to find the famous witch who can help him defeat the Colorless King. What he discovers may be a lesson for us all. Young cartoonist Guilherme Petreca won Brazil’s prestigious HQ Mix Award for Best Artist due to the unforgettable imagery on every page of Ye, his first full-length graphic novel. In the tradition of The Little Prince, The Neverending Story, and A Wrinkle in Time, this graphic fable will leave young and old readers awestruck and eager to relive the journey. Legendary swords clash atop the Paris Opera in 1913, while almost a century later a declining London witnesses assassination attempts, summit meetings in Haggerston Park, and the catastrophic return of a 1960s super-adventurer. Elsewhere, in the four-dimensional territories adjacent to the North Pole, a lost Shakespeare play sees its first and last performance, while Queen Gloriana’s conjurer finally reveals the nature of his 500-year-old game. 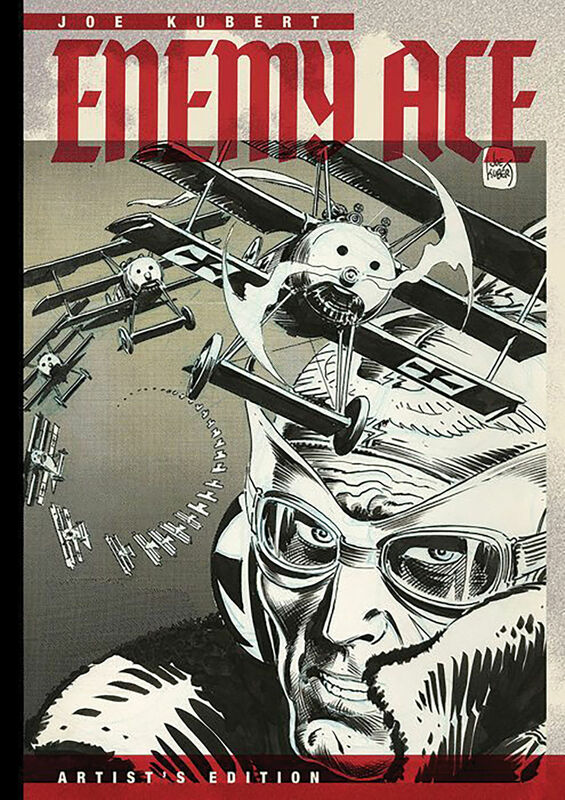 Topping off an already heady mixture, this issue’s classic Seven Stars reprint depicts our halcyon heroes as “Captives of the Creepyverse,” another reason not to miss the unfolding of Moore and O’Neill’s fulgurant finale in issue four of The League of Extraordinary Gentlemen, Volume IV: The Tempest. Order 25 copies and get one free variant cover by Kevin O’Neill! Bob Layton’s two long runs on The Invincible Iron Man, alongside writer/co-plotter David Michelinie and an array of peerless pencillers, remains the series’ high-water mark for legions of fans. And now, many of the most beloved stories from both of Layton’s long stays on the book, curated by Bob himself, are collected here in deluxe, oversized fashion! Nearly 400 pages of Iron Man classics, guest-starring Ant Man, the Hulk, Captain America, Spider-Man, two two-part Doctor Doom tales, and more! Also included is a comprehensive new interview with Layton! Each copy of this special IDW Limited release is signed by Layton, numbered, and packed in a gorgeous foil-stamped slipcase! 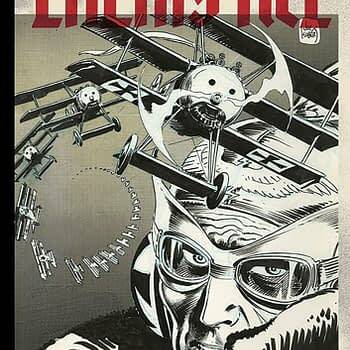 Celebrating the storytelling prowess of legendary writer, artist, editor, and educator JOE KUBERT—one of the all-time greats! In Slap Cat!, you play as a mad scientist attempting to assemble the world’s most adorable cat! 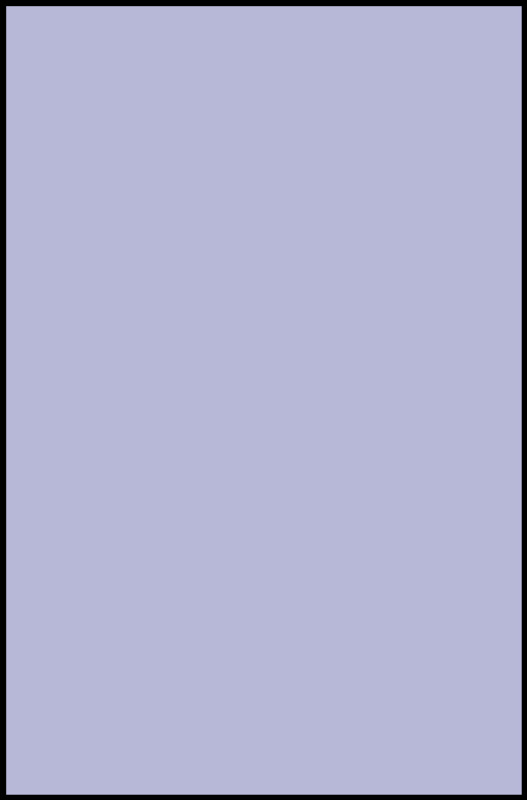 Draft cards by quickly slapping them as they are revealed. Earn bonus points for kitty fedoras, bows, balls of yarn, and more. But be careful—slap too slow and you could be left with a handful of fishbones! A card-drafting cat game for up to six players! Welcome to Outpost 1, an observatory in the isolated frozen tundra of Siberia! You and your team have been studying the area, but last night, a massive storm set in, bringing with it a pack of nightmarishly strange creatures. Now, trapped by the weather and these beasts, your crew’s only hope is to use your meager resources to defend yourself and wait out the storm. Ration carefully and you may see the sun again. Designed by Jon Gilmour (Dead of Winter) and Daryl Andrews. 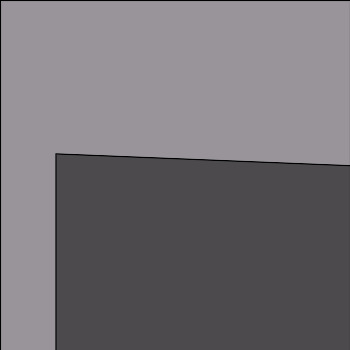 A cooperative card game of survival at any cost. First in a series by premier game designer Jon Gilmour (Dead of Winter)! Outpost: Amazon is a fully cooperative, card-based survival game designed by Jon Gilmour (Dead of Winter) and Daryl Andrews (TMNT Showdown) that plays with a single deck. Using an inventive dual-facing system, a single card in Outpost can be anything from life-saving supplies to cataclysmic catastrophes. By enduring relentless weather and defeating untamable beasts, players are rewarded with the much-needed tools and food to continually resupply your resources. Second in a series of standalone survival horror games by Jon Gilmour (Dead of Winter)!